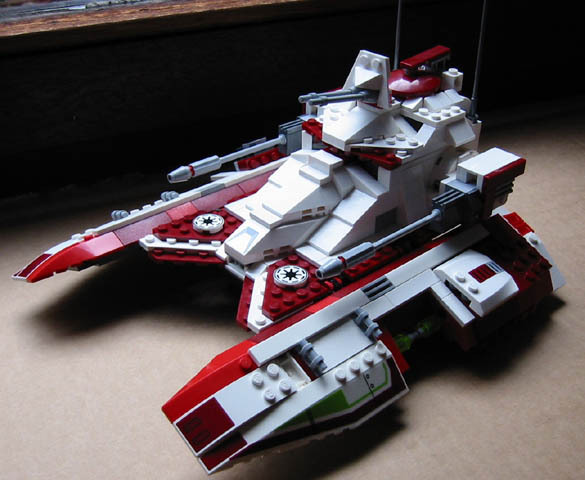 For my first ever review I bring you the Republic Fighter Tank, aka TX-130. Apologies up front for the fuzyness of most pictures. My camera is old and fairly useless in poor lighting. I had to take most of the pictures on the windowsill to get enough light. 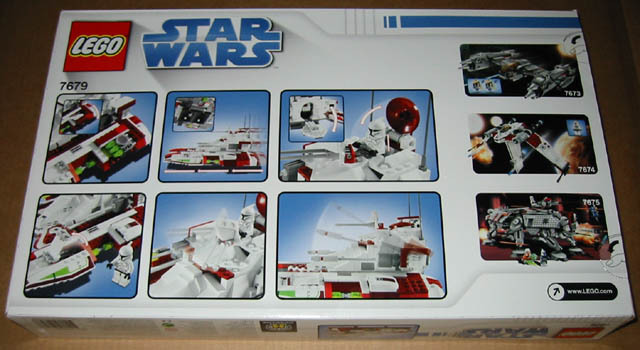 I quite like the white and blue colour scheme used for the boxes of the Clone Wars sets. There is a nice "clean & fresh" look to them - like toothpaste. One instruction booklet and eight bags of goodies, mainly white with two shades of red and a sprinkling of greys. Only two clones is rather disappointing, especially considering the TX-130 was supposedly piloted by Jedi. Personally, I don't think much of all that extra gear the one Clone gets to wear. It just looks weird. The build starts with a small technic frame around which the main body is built up. The gunner's seat is weird. As is that guy's hair, no wonder he is in a bad mood. It makes use of a rubber band to provide an upward spring motion, almost like an ejector seat. The seat pops up when you open the rear hatch. 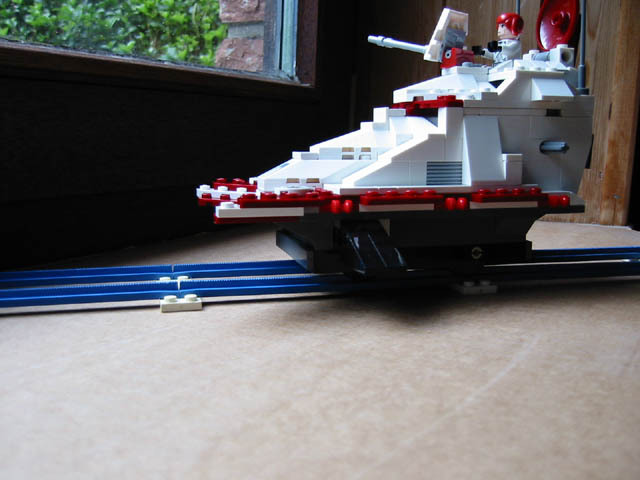 The tank runs on wheels, obviously for playability so that kids can shove it around the floor. You could even run it on your train layout if you like. 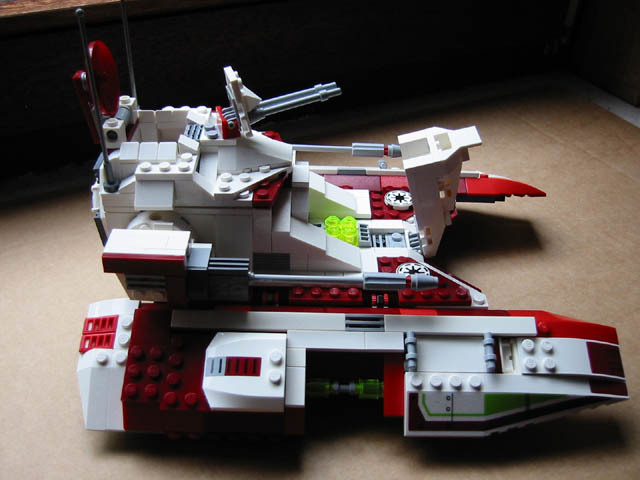 The body is complemented by two side skirts with storage compartments and missile launchers and the two side cannons. Overall I do quite like this set. It's nothing spectacular, but it certainly beats the Twilight. The main problem is the price which does seem exceedingly high. Minifigs: 4/10	Only two clones? Detail: 8/10	Quite a nice rendition of the TX-130. Price to parts: 3/10	Value for money it is not. �69.99 for 592 pieces and only two minifigs. Availability: 8/10	You can pick this set up just about anywhere in Germany. I gather this is not the case elsewhere. OVERALL RATING: 6/10	The set itself is quite ok, but seventy Euro is just way too much for what you get. Thanks for the review. This is one of the only sets I want to buy from the CW line, and it looks really cool. That thing is actually a lot bigger than I thought it would be. I WILL be getting this set now! I really wanted a review of this set because i was unsure if i wanted it or not. Im still not to sure but i did like seeing all the features. What does the cost translate into $ though? Tks for the great review Its such a great set, I cannot wait to get that baby (I wonder when it will reach normal retail in France). 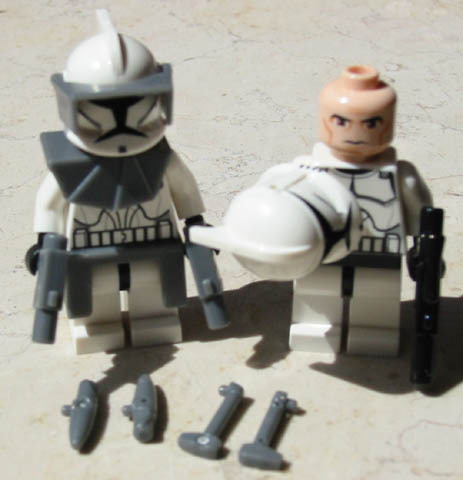 At least you get a clonie accessory polybag with regular clones which is cool. On the left you can see the missiles which are mounted on a panel that flips over. Tks a lot for the pic Gingerbeard Man I love to see sets from different angles and its great to see how well those flick fire missiles are concealed. Also using those discs as wheels is reallly cool instead of using more classic rims. The RGS is 50 Euro less in France??? Why does S@H say this is not available in the US? Mainly because it isn't. It's the TIE Crawler of the year only better looking. 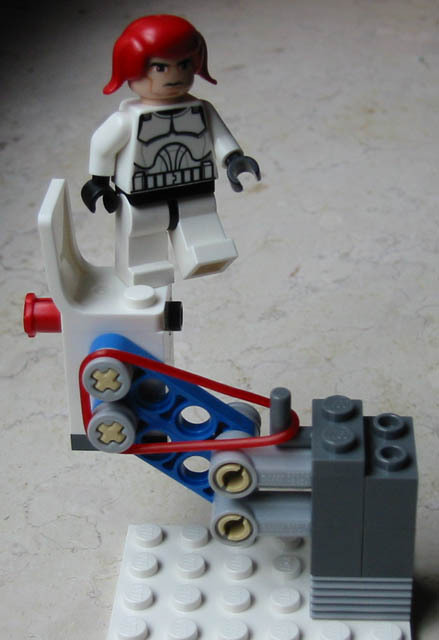 *sniff, sniff* I think the TIE Crawler looks pretty cool. I'm eagerly awaiting the U.S. release of this, it looks pretty sweet. I plan on asking for this set for Christmas. 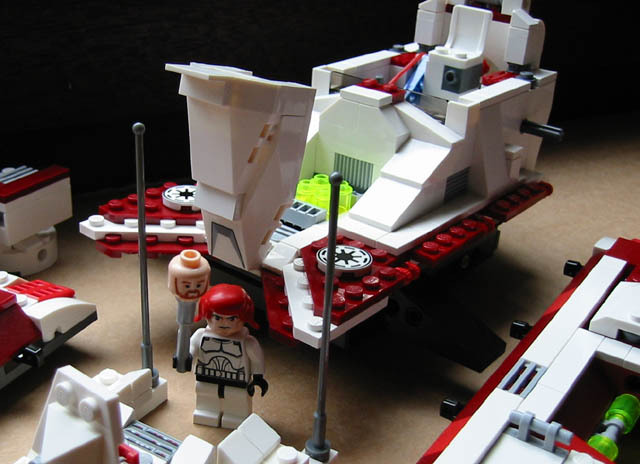 I hate the hassle of scrounging up enough money for lego, and then run around looking for an exclusive set. I'd rather have this be my parents problem. Ha, ha. Leave it all to the parents! When does this release in the US? The tank's US release has already been confirmed, it's just gonna take a little while longer. This set looks really good.Sturdy,good build and ejector seats everything you need to launch it of a roof...I mean roll it on the floor .If this one is avaliable In Canada I might have to get it. 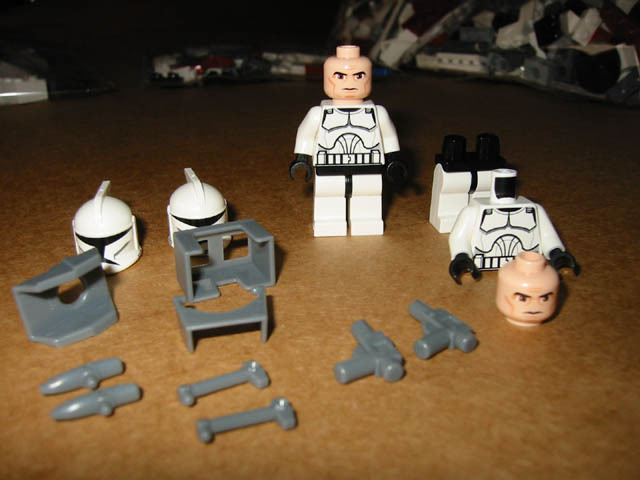 Pretty good, but what are those things that come with the clones? Y'know, the things that look kinda like horns? They be helmet mounted torches and antenna. Either/or. Anyway, and exactly like the V-Torrent, it's overscaled compared to the figs. 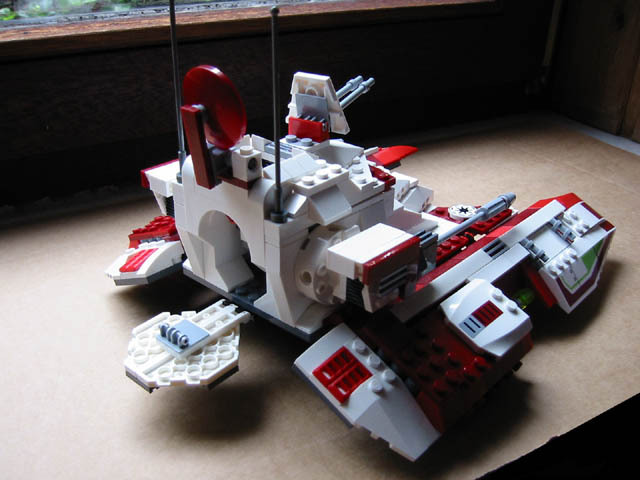 The T-130 is about the same scale as a snowspeeder or a Jedi Eta-2 interceptor. 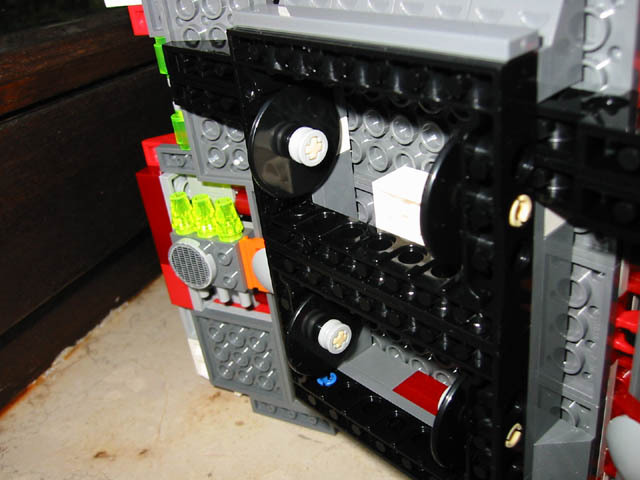 On the other side, it's Lego: we've got the colored bricks so it's our duty to fix things we dislike in models. 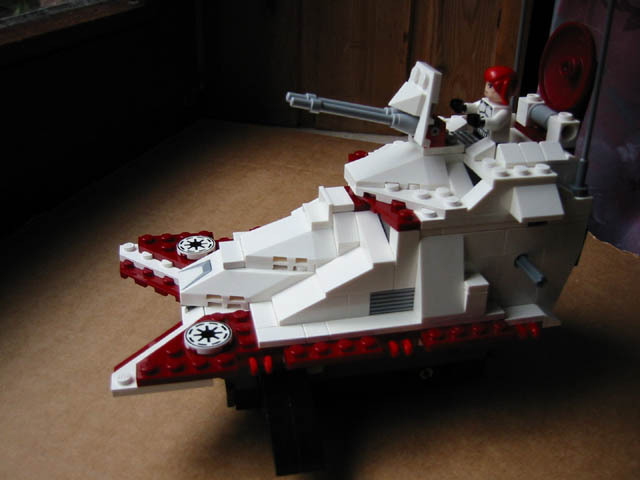 Anyway, Lego should have released a juniorized, more-to-scale and cheaper version of this set so children could afford one. This version is just a delux edition few will enjoy (and mainly AFOLs). Sell cheaper, sell more, enjoy more buyers... I'm afraid this will score in 2009 Lego incomes, just like it did in the terrible 2003... Playmobil and Duplo (wich follows Playmobil models and themes) are on the right way about this. I just picked this set up today. I'm actually pretty impressed with this set. Its got some great parts, great colors (I'm always a fan of dark red). I'm actually torn between wanting to display this on a shelf and tearing it apart for pieces. I'm not generally a fan of the clone wars style figs, but these figs are pretty nice. I imagine some might complain about there only being 2 figs, but it doesn't really make sense to have any more (and would only drive the price up). Speaking of which, I'm not sure why there's so much complaining about the price of this set. 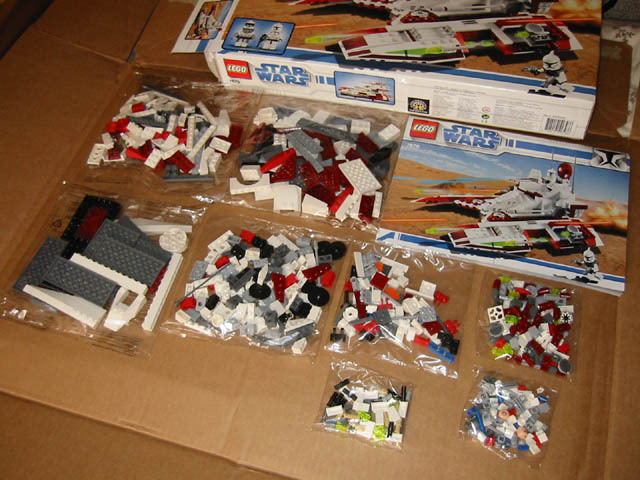 At $50 for 592 pieces, this set has the best price to parts ratio of all the clone wars sets. To be honest, I'm surprised this didn't cost $60, but I'm glad it doesn't. Some might like to compare this to the Target exclusive last year, the Tie Crawler. However, there really is no comparison: this set is eons better. For being the same price, this set has a way better parts selection and a much sturdier build. While this is only my second Clone Wars set, its definately my favorite. 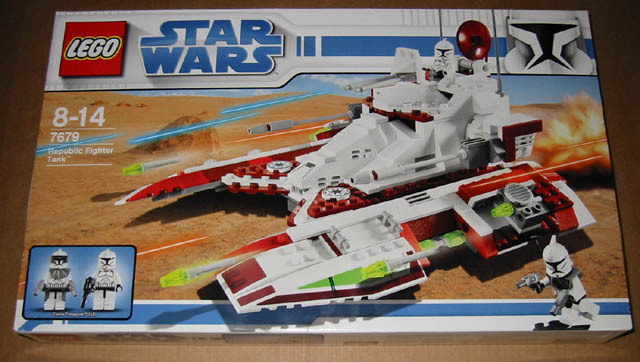 I'd have to say: if you only buy one Clone Wars set this year, buy this one. 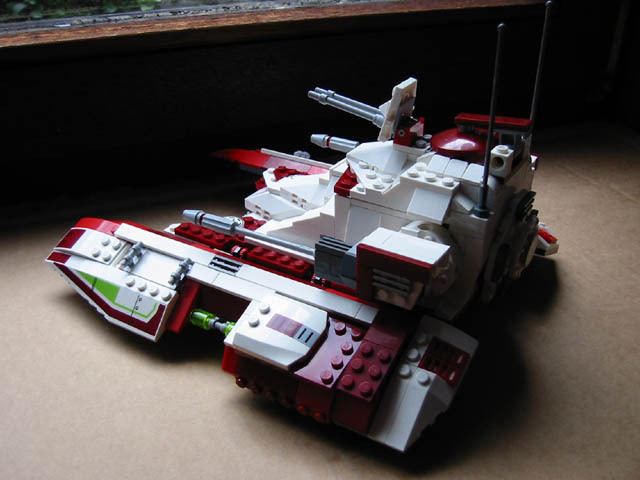 Even if you don't care about the Clone Wars (which I don't), its still a cool looking spacey-type tank that can be scrapped for its parts. The TX-130 is scaled badly, I agree. 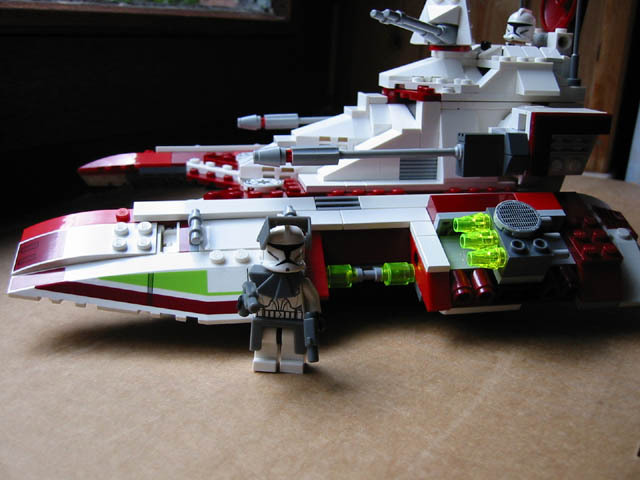 But two things, the Snowspeeder is not Eta2 size. That would be like comparing a Mini to a Lamborghini. The V-19 is not overscaled. Nowhere near it. They appeared to be a lot smaller in the cartoon. But now, in the CW live action, they are huge. 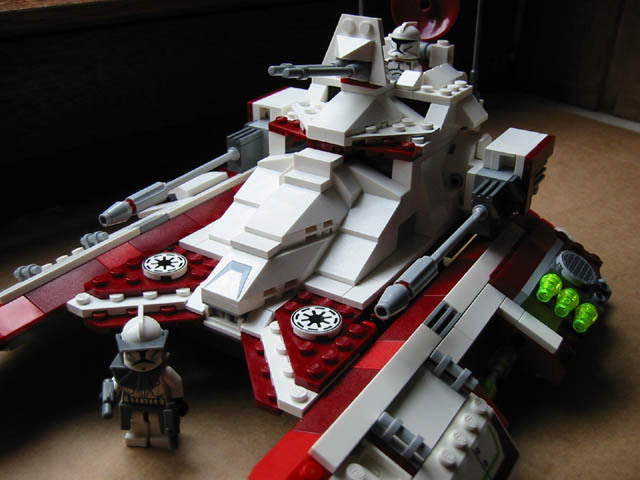 For the V-19's to be minifig scale, they would have to be twice as big! 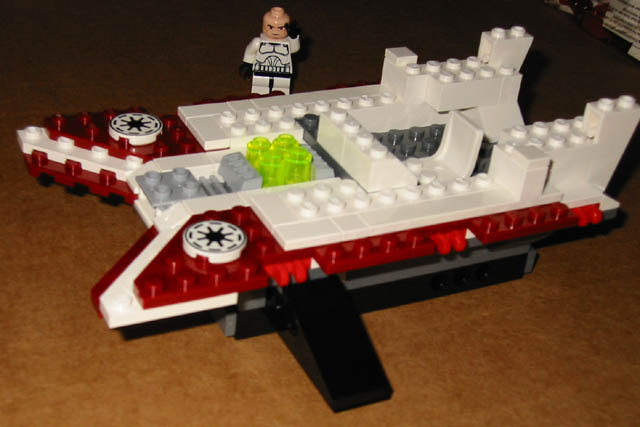 Many people think that an X-wing (6212) is close to minifig scale. Not even close. The UCS Y-wing is closer to minifig scale than anything offered in the Y-wing (7658) and X-wing playsets. 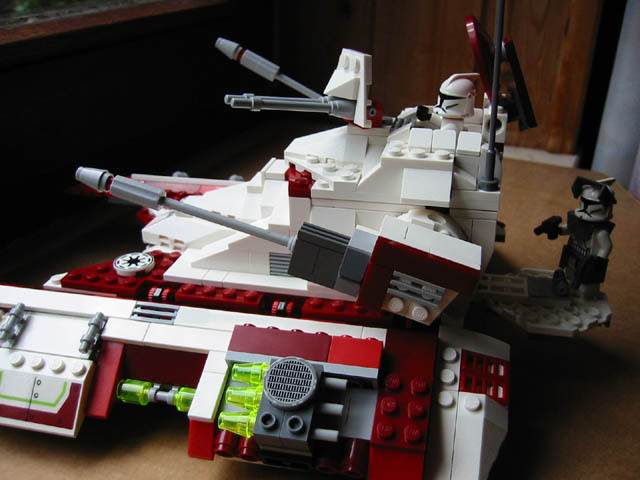 Anywho, the Republic Fighter Tank is a cool set and build. But because of the scale, and my desire to place AT-TE, RGS and the TX-130 together in a huge diorama, I won't be getting more than one. It looks out of scale enough with one TX placed between two AT-TE (7665). It would look even worse if I wanted to put the TX's between the 4482 AT-TEs. Got this set at target the day it came out. I was the first one to walk out of the store with one, I actually hunted down the toy department employee and forced her to open the boxes. 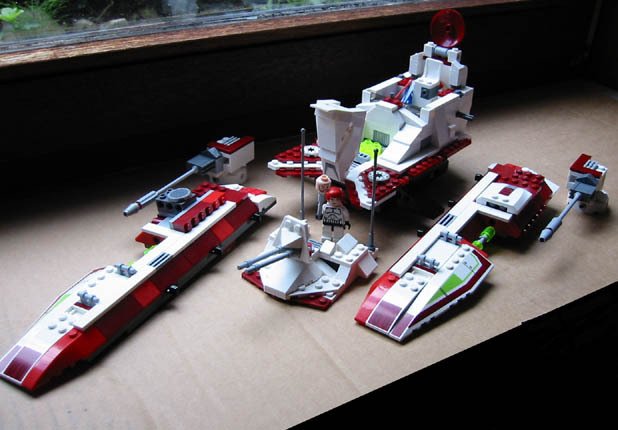 This set is definantly a modder - I've already ridded the entire tank of the detestable light red - replacing it with white and dark red. I also took out the 'ejector seat' turret seat and replaced it with a handle for the trooper to hold on to to keep himself up. It's rudimentary, but at least they can walk through the hatch. It really frees up the cabin space. I also modded the wheel system at the bottom, taking out the wheel box and replacing it with three sets of wheels that swivel independantly in whichever direction you push the tank. However, I love the pop up missile system. Even I could not resist flicking those missiles at my droids. It's a great set, and though it seems overpriced, for $50 usd you get almost 600 pieces. I was the first one to walk out of the store with one, I actually hunted down the toy department employee and forced her to open the boxes. Yes!!!! I have it! Well, sort of. I can't open it for a couple of weeks but its in my house.